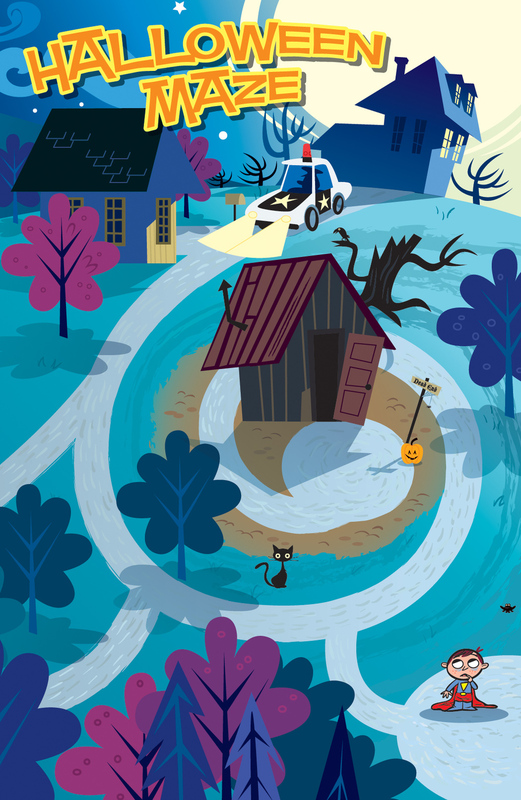 Jake gets lost while trick-or-treating and needs help to find his way home. In the same way, we are all lost in our sins and need Jesus to lead us to Heaven. What could Jake do now? He had promised Dad that he would stay close to his older brother when they went out trick-or-treating. But he felt so brave in his new Superman costume that he wasn’t frightened when his brother ran ahead. He didn’t call or try to catch up. But now he was lost and scared! He heard footsteps around the corner. A tall man in a dark uniform suddenly appeared. Jake stood completely still, but he could feel his knees shaking. As the man came closer, Jake recognized him. He was a policeman! “Are you lost, Superman?” he asked. “I...I sure am!” replied Jake. “What street do you live on?” asked the policeman. “1152 Maple Street,” Jake answered. The policeman took Jake by the hand and led him home. He rang the doorbell and when Jake’s father saw him, he swept him up in his arms and hugged him tightly. Jake was safe! Jake got lost because he disobeyed his dad. But did you know that everyone has disobeyed God? Sin is breaking God’s laws, like cheating or lying or taking something that’s not yours. The Bible says that we “all have sinned” and God cannot let any sin come into Heaven (Romans 3:23). Even though we deserve to be punished because of our sins, God still loves us. In fact, He loves us so much that He sent His Son, Jesus, from heaven to take our sins away. Jesus Christ was punished for our sins by dying on a cross (John 3:16). The Bible says, “Christ died for our sins...he was buried, and...He rose again the third day” (1 Corinthians 15:3-4).